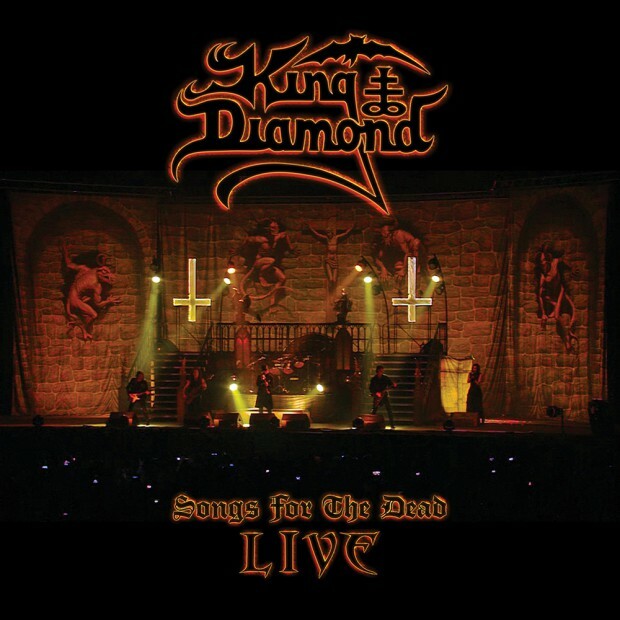 King Diamond has been a long-term love for me since my teenage years, and I have no shame in saying that my love of his music (and of Mercyful Fate) has probably only grown stronger over the years. Fair to say that a live album at this stage in his career could be either a pure delight for fans, or a terrible swansong after so many years of active touring and recording. Thankfully I can confidently say that ‘Songs For The Dead’ recorded live at Graspop in 2016 captures a truly triumphant return to touring after extensive personal and medical reasons kept him away for a while. The accompanying DVD version of the performance would ramp up the experience tenfold without doubt, as the King’s stage show has always been of epic proportion and he spares absolutely no expense in bringing the classic tales to life for a full experience. The recording itself is beautifully crisp in its production, absolutely everything is present in the mix and his performance is incredibly flawless given he is some 40+ years into his career of eerie storytelling through soprano vocal and gritty tales. The setlist for the show is essentially a revisiting of his earlier hits, both solo and from his Mercyful Fate days followed by a live performance of his 1987 classic “Abigail” in it’s entirety. He opens the show with classics like “Welcome Home”, “Sleepless Nights”, “Halloween” and even “The Eye of The Witch” holds up amazingly among these, despite ‘The Eye’ being considered weak at the time of it’s release by many. In the crescendo of the first act, we are taken back to Mercyful Fate days with “Melissa” and “Come To The Sabbath” before the creepy “Them” tape takes us out. His band is exceptional as always, with Andy La Roque proving once again why he has been the talk of guitar circles for decades, while still managing to remain shockingly underrated by anyone except guitar nerds and King Diamond die-hards. My best advice would be to get hold of this performance, strap yourself in and experience it for yourself. I’m going to be buying the DVD version online as soon as I send this review back to Forte.